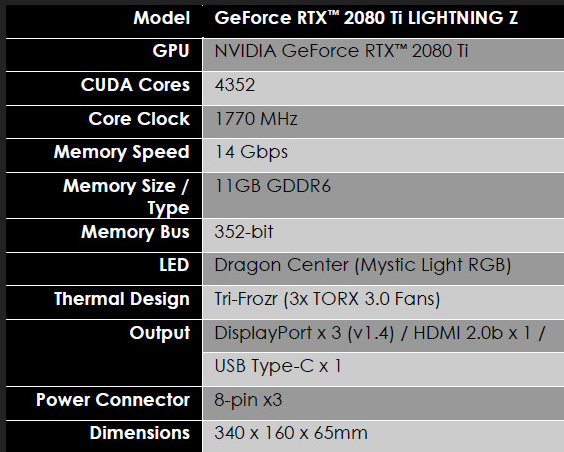 With an innovative design, the RTX 2080 Ti LIGHTNING presents an all-new level of visual customization. Via MSI’s Dragon Center software, the LED colors and blades on the fans can be controlled to cycle predefined profiles. The fans not only dazzle you with vibrant colors and effects but also cool this beastly card in silence. MSI’s reputation in thermal design is well-known to be excellent. 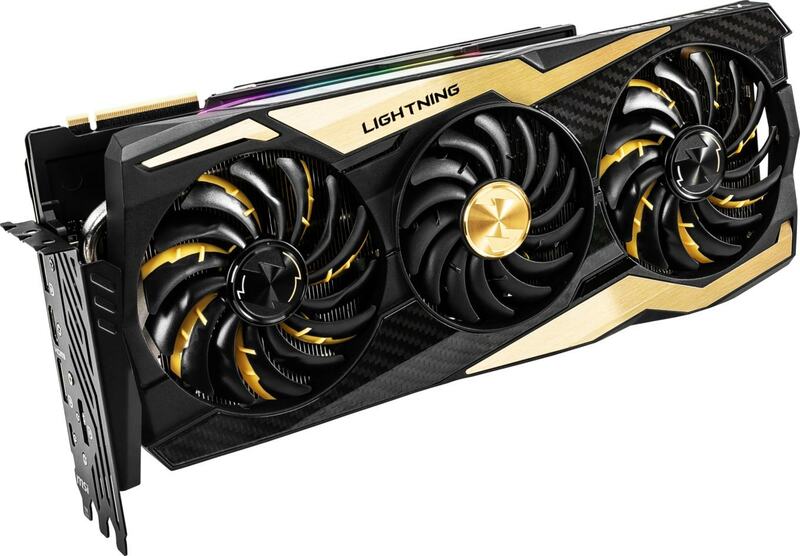 The improved Tri-Frozr design on the RTX 2080 Ti LIGHTNING Z utilizes two 10cm and one 9cm TORX 3.0 Fans, combining the advantages of both traditional and dispersion fan blades to generate huge amounts of airflow. The new trims on the traditional fan blades create concentrated airflow for higher air pressure while also reducing noise. Two 8mm Superpipes and six 6mm heatpipes transfer heat much faster to the fins. 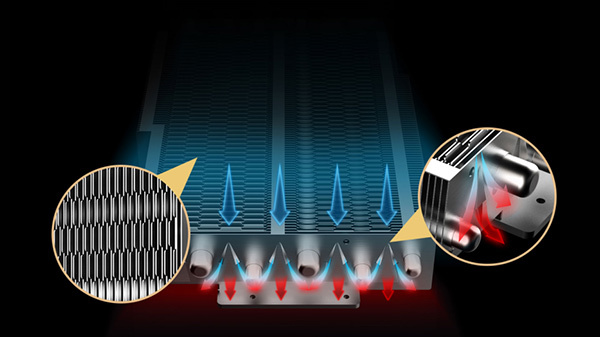 Both the new Rugged-edge fins design and improved Airflow Control technology make for higher efficiency to lead airflow and dissipate the heat rapidly. MSI knows that keeping an eye on your graphics card performance is important, especially for gamers. 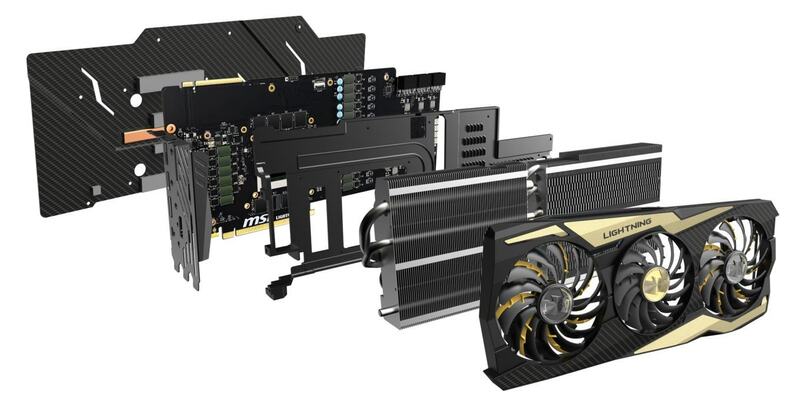 Dynamic Dashboard is MSI’s new premium feature which enables gamers to monitor real-time frequency of GPU and memory, temperature and fan duty. Besides monitoring hardware, the display can also be personalized by uploading custom images and animations to show your own unique style. The special LN2 BIOS on the card provides extreme overclockers more capability for overclocking records without special hardware modifications. 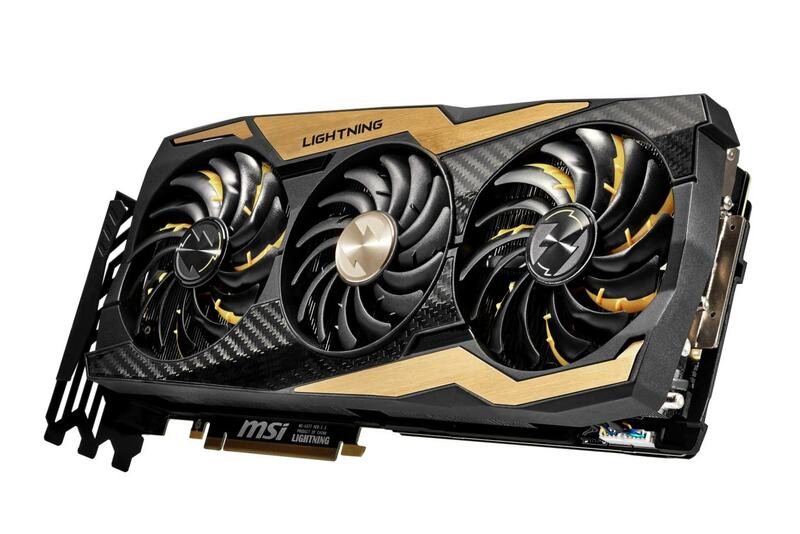 By removing restrictions, the full potential of the graphics card is unlocked. The enhanced power design contains more power phases than other models to ensure plenty of power is available for record-breaking performance. LIGHTNING’s custom 12-layer PCB is fitted with 16 phases for GPU and 3 phases for Memory to ensure power delivery can handle the most extreme loads. 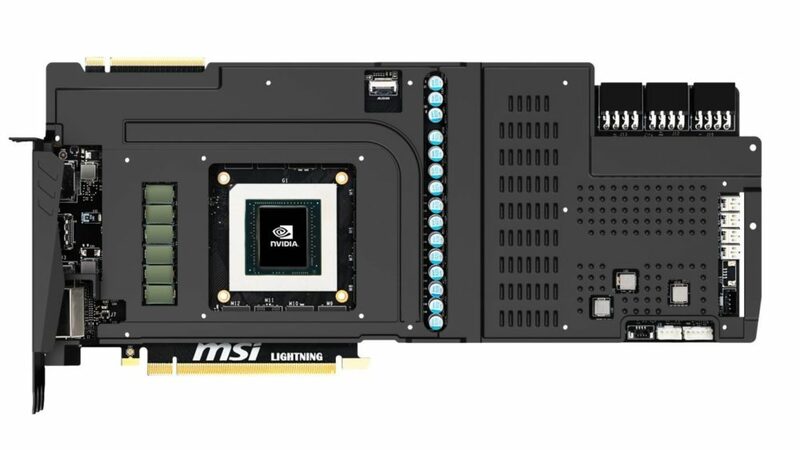 With MSI’s exclusive OC kits you’re in complete control of the RTX 2080 Ti LIGHTNING Z. V-Check points allow you to accurately measure GPU, Memory and PLL voltages. Multiple Temp Monitor checks the real-time temperatures of the GPU, Memory and PLL while Quadruple Overvoltage allows you to overvolt those same components in order to achieve higher clockspeeds.